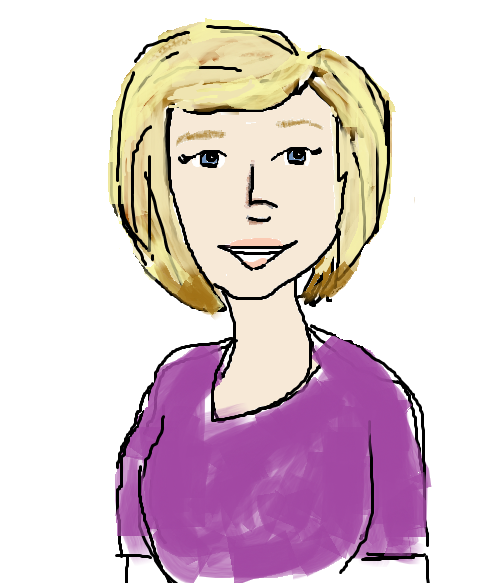 Mom, the Intern: Why I can't be a hipster. Why I can't be a hipster. The other day, I noticed one of my Facebook friends had "liked" a page called Verbal Vomit. Well, with such a colorful title (and since verbal vomiting is practically all I do over here), I decided I needed to check it out. I'm glad I did because 1) the author, Hannah, is an illustration student at BYU and 2) she is hilarious. And so is her blog. She illustrates every post with the quirkiest, cutest drawings. It's pure genius. Anyway, being a first-timer at her blog, I quickly located the most popular posts list and saw one titled "How to Be a Hipster" at the top. Hannah does have 500+ followers (something I do not), so I figured this must be some pretty good stuff. And oh, it was. She even has a Part Two addendum, in case you couldn't figure out how to be a hipster from Part 1. So, you're saying, "Jenna, I have a kid (or two, maybe even three) and am no longer cool-aware so I don't know what a hipster is." It's OK; don't lose your dentures over it. I didn't know either until I read Hannah's post. Well, actually, I DID -- I just didn't know what they were called. Now, before I lose some followers (ha, who am I trying to kid? I doubt any hipsters are following this uncool lady! ), let me say, being a hipster is not a bad thing. In fact, I'm pretty jealous of all the vintage-y photos and laid-back style y'all are rockin' all the time. When I throw on random clothes, I look homeless, not hip. I've even gone to Claire's and tried on the big fake glasses for fun. But it's just not me, I guess. Anyway, after reading Hannah's how-to guides I realized how totally un-hipster I am. I mean, I sometimes shop at thrift stores, but only a few times a year (I used to be a thrift store FIEND in high school -- but back when it was weird and not cool at all). I usually leave Goodwill feeling frustrated at having sifted through so much junk, only to leave empty-handed smelling like pee. And I like Buffalo Exchange, but mostly for the jeans. Definitely not for the fedoras. I look sad in fedoras. I do value healthy, local produce, plus I do that whole 50% raw thing and bake my own bread, but not because it's good for the earth. I do it because I'm CHEAP and because if I don't I can't poop. I don't have an Etsy shop. Nor do I sew. But I do wield a hot glue gun with fierceness! I have a few indie/folksy songs on my iTunes, but only because they were free downloads of the week. And I'm glad because I like them and I probably wouldn't have downloaded them if they hadn't been. But I have to be honest, I LOVE hip-hop. Almost too much. And I love pop. I listen to songs that have words like "swagger" and "gettin' paperrrrr" in them regularly. And I like it. I'll admit, one of my favorite movies is Lars and the Real Girl. A pretty hipster-ish flick if you ask me. But I saw it about 5 years ago, before hipsters were even cool. And I love it because it's so weird and quirky. Not because of some deep hidden meaning about true love or whatev. I like to read, but you should know most of my favorite books can be found in the YA section of the library. Yes, I checked out A Tale of Two Cities a few months ago. No, I did not finish it. Didn't even get 10 pages in before I fell asleep. But I sure as heck read Mockingjay in less than 24 hours! But I do like to learn new things and I play an instrument (just not guitar or banjo or accordion), and I enjoy talking about deeper subjects, things that make you go, "Hmm." (Except politics. I'm working on it.) And picnics are fun, but I'd rather eat in my car. Most importantly, though? I can't be a hipster because ... I look terrible in skinny jeans/pants. I've tried; it ain't happening. Let's just leave it at that. I guess what we've learned by this is I am not a hipster -- I am just me. A little hip-hop, a little Mormon housewife, a little hipster, a little weird, a LOT nerdy. I'm a Jennaster. Maybe we're all just [insert name here]sters. 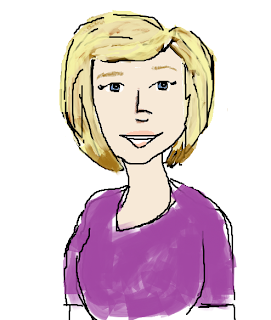 By the way, Hannah's blog totally inspired me to draw myself in Paint last night. So I did. Oh dear... I think I'm more of a hipster than I realized thanks to Joel. We own Lars and the Real Girl and love it, also Fantastic Mr. Fox is a Wes Anderson flick and it has earned an honorable place on our DVD rack. However, I will never ever wear a romper. Gag. And I wear glasses because I need them thankyouverymuch. Also, I think your paint skillzzz are commendable. being a hipster is too expensive for the mayor of brokesville aka me. I was in need of this laugh! We love Jennasters! @Melanie, Amen to that. They just don't make 'em like they used to. Ha! I LOVED a Tale of Two Cities, but I'm as far from a hipster as you can get! Give it another try, it's actually pretty amazing. let me tell you...i know a hipster...and he does not look like those guys in the pictures. real hipsters are much more grunge, and more in angst over how the world is just horrible and they need to protest something NOW. you don't want to be a hipster lol. There's an episode where she meets the guy beforehand and it sets up more about the hipster movement. It's hilarious. And then when she breaks up with him. yea i think "hipsters" or whatever mostly look dirty and whine all the time. and i cant stand the scratchy cry me a river music. yuck! i also only shopped at savers in high school cuz that's where my boyfriend got his clothes from lol. i havent been to a thrift store since! and i think most of the vintage style is ugly! so sue me! ;] so there ya go i am FAR from a hipster too! @ACW that was PERFECT! And you're off the shiz, too. I actually used to home teach Hannah and have been giving her advice on how to best do the layout of her blog to get the best click through rate on ads and how to market her blog effectively. She's pretty great! She's also working on a third installment for the "How to Be A Hipster" series so be on the lookout! Ha, if hipsters don't talk about poop I've got some glasses I really need to return to Urban. LOVE your painting by the way - AWESOME!! !